Also, apparently I didn't miss Roundabout's final clearance in their sale! It happened a couple weekends ago so Lydia and I took the trip to Westport. I was pretty well behaved and only bought one thing. A beautiful Jason Wu snakeskin blouse! It was brand new with tags and the retail price was $1395. Roundabout's price was $389 but take off 65% and the additional 10% off and it came down to $122. Still expensive, but much easier to handle. March is going to have to be a no shopping month though since I'm trying to be really good this year! I love those jeans!! I found a similar style yesterday at Old Navy, I don't usually shop there but I had a gift card and I thought why not buy more jeans...I have to many but really we could alway use a new pair! Well, at least you liked the grey ! I think that the blouse was a great purchase. I like that those jeans a really different than anything else you've got, and grey is a fantastic neutral all the same. 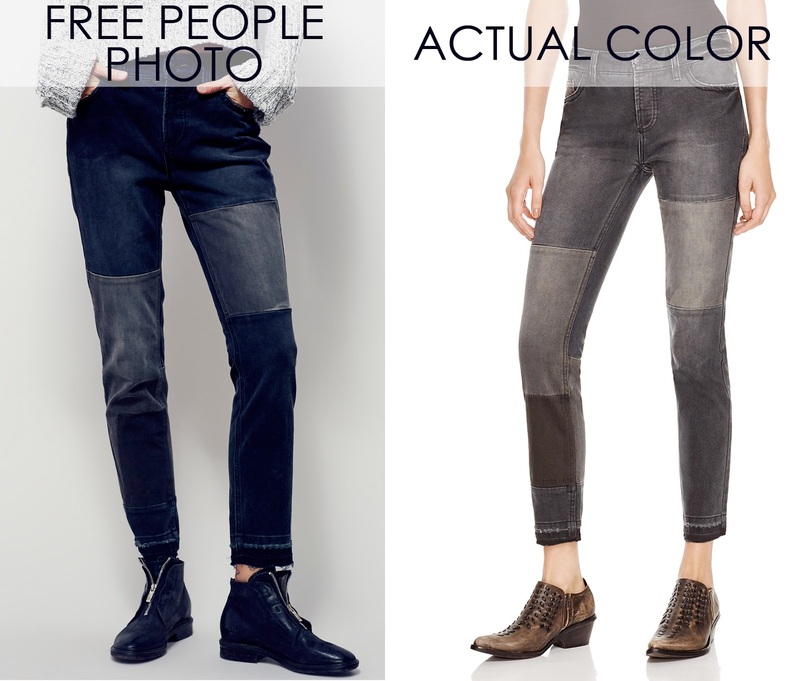 Love these jeans - that has happened to me as well luckily usually you end up with something different you like just as much! The difference in colour between photographs is crazy! At least you're still happy with them :) I also completely agree - choosing quality pieces over quantity is the way to go!